Fiber lasers can be used to remove most organic contaminants and inorganic particles from intricate and textured surfaces without damaging the substrate. Developed as a contactless non-abrasive system to replace standard chemical and abrasive cleaning technologies, laser cleaning is being adopted by a wide range of industries including art restoration and manufacturing. Most conventional industrial cleaning processes are harmful to the environment and risk damaging the substrate. Abrasive cleaning that involves high-pressure blasting is environmentally damaging and cannot be used safely on finely textured surfaces, while chemical cleaning also has a negative impact on the environment producing potentially hazardous liquids and vapours. Laser cleaning, however, is mostly a green cleaning method. Extreme levels of cleanliness are essential in many manufacturing processes. 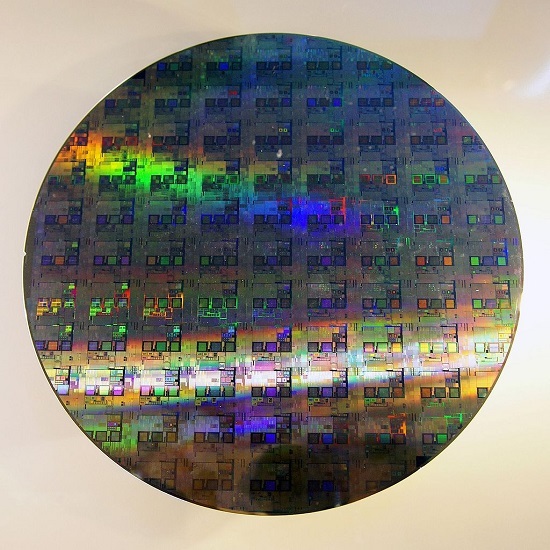 As an example of this, we focus on its application in the semiconductor industry which uses it to remove organic and particulate contaminants from highly intricate silicon wafers. In the world of art fiber laser cleaning is the latest arrow in the bow of the art restorer, who can restore paintings and sculptures without any risk to the original art; due to the fact that a fiber laser can be set to remove mere microns of the contaminated surface. Cleanliness within semiconductor manufacture is critical. Silicon wafers must be rigorously cleaned after every process step. Given that the surfaces of these wafers are highly intricate with feature sizes often in the nanometre range, they are highly delicate. Various alternative processes are used, including chemical cleaning with highly reactive solvents and ultra-pure water, cryogenic cleaning, ultrasonic cleaning, and plasma cleaning using ionised gasses. Fiber laser cleaning provides an alternative approach that can remove a wide range of organic and inorganic contaminants from the wafer surfaces. Cleaning surfaces such as silicon wafers contaminated with sub-micron particles using conventional techniques is challenging as such particles tend to adhere strongly to solid surfaces, held in place by a combination of capillary, electrostatic and Van der Valls forces. Dependent on the nature of the contamination, the surface may be coated with a thin liquid film before applying the laser beam, or the laser may be used on a dry surface. Best results are achieved when the pulsed fiber laser beam has a wavelength that is absorbed by either the contaminant or the liquid film. The fiber laser cleaning techniques we describe above all rely on the contaminant absorbing the laser energy. However, surfaces contaminated by particles that do not absorb can also be cleaned using matrix laser cleaning. Initially, a thin coat of special black paint is deposited on the surface. The paint strongly absorbs the laser beam and evaporates explosively with force strong enough to remove the particulate contaminant but without damaging the delicate surface. This technique is effective for eliminating nanoparticles when neither the particle or the surface absorbs the laser beam. Fiber lasers are often used for cleaning valuable artwork. The technique is highly selective and reliable, providing an excellent tool for removing pollution, corrosion and other unwanted contaminants. Typical applications include the removal of unattractive and potentially damaging layers from paintings and various sculptural materials including ivory, marble, aluminium and bronze. Laser cleaning has beautifully restored many monuments, sculptures and prehistoric artefacts beautifully restored by laser cleaning while their surface detail and patina have been preserved. Over time, marble antiquities develop a layer of encrustations consisting of soil and various dendritic formations of minerals and soot. Traditional cleaning methods include chemical and mechanical processes which can and often do compromise the fine detail of the artefact. However, pulsed fiber laser cleaning is controllable and removes encrustations by ablation. Once the contaminating layer is removed, the clean marble reflects the laser pulse thus avoiding any damage to the artwork and retaining the subtle texture. Many fiber lasers incorporate back reflection protection, ensuring that when working on reflective materials the laser beam is not redirected back into the laser itself; without this technology the laser could be irreparably damaged when cleaning marble. In the past, most painters would finish their work with a layer of varnish to enhance the appearance of the painting and to protect it. Many of the varnishes used deteriorate over time creating a dark and brittle film. Additionally, environmental pollutants such as smog, dust, smoke and soot build on the surface resulting in an ugly opaque layer that hides the true colours that lay beneath. 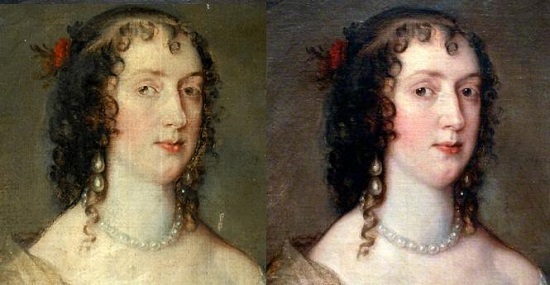 Removing these layers using traditional chemical and mechanical methods is fraught with risk, and the process has damaged many valuable paintings. Often too much material is removed, and the cleaning chemicals sometimes interact with the pigments, ruining the colour. When this happens, it is impossible to reverse the process; the damage is irrepairable.